Get The Dominican Republic Picture? The Caribbean's 'Best KEPT SECRET' is out of the bag! 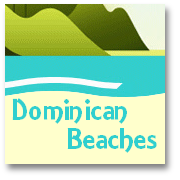 We aim to provide a full Dominican Republic picture for you throughout the various pages on this web site, which we consider to be our "labour of love"! We will regularly be adding more information pages as the years go by, so you should always be able to come back and find something new! We really hope that we can do justice to our lovely homeland, which many people have called the Caribbean's BEST KEPT SECRET! We know that for many years Caribbean vacations have been a favorite with visitors from the US and Canada ...and a favourite with those from Europe, too! ;D But until recently, tourists were mainly visiting the French- and English-speaking islands. Now it seems these habits are gradually changing. It would appear that aficionados of Caribbean vacations have increasingly been finding that the usual destinations are becoming overcrowded and expensive. Perhaps, too, these resorts have lost something of that unique Caribbean flavor that people 'fell in love with' in the first place due to over-development? 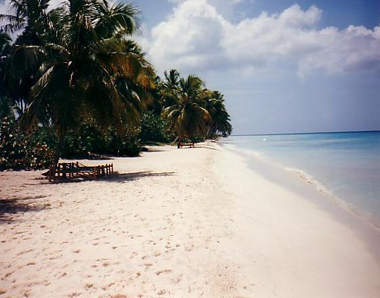 For more Dominican Republic pictures see our NEW GALLERY! The Dominican Republic - not such a 'new' discovery! ...Well the 'DR' as it is often called is more of a 're-discovery' – after all Columbus did discover it for us in the first place, more than 500 years ago. ...It also presents a vista of opportunities for business, investment, second homes, and much more. So we hope you'll stick with us and revisit our site often. And, if we don't get round to providing the information about the Dominican Republic you want quickly enough, then we hope you'll contact us us with your question and we'll try and get a swift answer for you! We hope the 'Dominican Republic picture' we paint can tempt you to take the vacation of your dreams or realize your fantasy of a tropical retirement. If it does, then you are sure to find somewhere you can sit sipping a chilled 'Ron y Cola' (or whatever takes your fancy!) while watching the simmering sun setting over classic Caribbean coconut palms – whether it's just for a week...or for years to come! 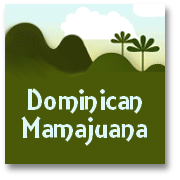 You may be aware of the fact that Spanish is spoken throughout the Dominican Republic. But don't be put off if you can't yet speak the local 'lingo', because the language barrier is rapidly coming down, and English, amongst other languages is already increasingly widely spoken. 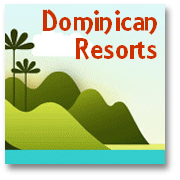 We are confident that you could soon join the ranks of those who have fallen in love with the Dominican Republic. Some came for a short break but couldn't resist the temptation to stay. Others have already chosen the island as their favorite holiday destination and return year after year. much more than just a 'one-off-holiday' destination. It is a thriving, vital market place for investment and business. where you can still afford to buy your dream Caribbean home. ...But wait, it gets even better! 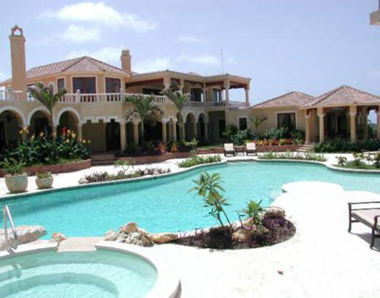 Dominican Republic picture (4) Beautiful Dominican Villa - luxury Caribbean resort! ...Even more reasons why the Dominican Republic is described as 'The Best Kept Secret' in the Caribbean by those already in the know! What else makes the Dominican Republic so special? I think that the fact that the Dominican Republic is located on the second largest island in the Caribbean, Hispaniola, means it has special qualities that few (if any) other Caribbean countries can compete with. To put it in context, the Dominican Republic - for those of you more familiar with European geography - is larger than Switzerland. Alternately - for potential American visitors - it is twice the size of New Hampshire! The Island offers high - sometimes 'snow capped' - mountains clothed with abundant aromatic pine trees and beautiful ferns at its heart (Be sure to see the amazing frosted pictures of Constanza we recently published). Whilst in contrast, its coastline has innumerable palm fringed, white, sandy beaches where the brilliant blue ocean laps its shores. Indeed any Dominican Republic picture you come across will confirm that it is the very image of the exotic, palm swathed Isle. I was recently talking to a British friend who said that what appealed to him about the picture of the Dominican Republic I was 'painting' was the fact that you seem to have the 'best of both worlds' when you visit our country. I think this is true because you have the modern, cosmopolitan capital city of Santo Domingo (which is home to some 3.5 million Dominicans). Here movie theatres show new releases as little as one week after they open in New York - and these are screened in English with Spanish subtitles! There is a wide variety of international restaurants, numerous bars, clubs and a bustling nightlife. In the cities you will also find - bowling alleys, art galleries, museums, orchestras, ballet companies, modern shopping malls, supermarkets - stocking American and European brands! As well as thriving modern Universities with students from all around the World. 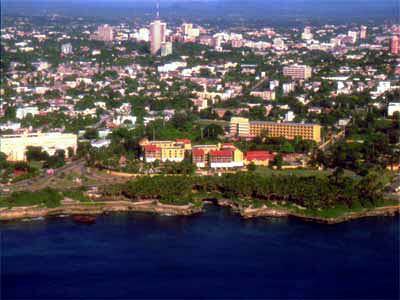 But if, say, you chose to drive North-North-East out of Santo Domingo (see Fig 1. 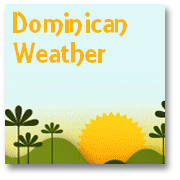 Map of the Dominican Republic) for about three hours, you would come to the second largest Dominican City of Santiago. On the way you would traverse – via roads of variable quality! – a range of beautiful verdant terrain. A brief diversion might take you to Jarabacoa on the slopes of the Cordillera Central. A lovely town surrounded by waterfalls, and coffee plantations that benefits from the fresher atmosphere of its elevated position when it is stifling at the coast. Here you might choose diversions like hiking through the pines forests, or white water rafting. After driving on and taking in the rural beauty of the inland landscapes you would arrive at Santiago, home to almost a million Dominicans. The Republic's second largest City has a long and colourful heritage. For centuries local farmers have brought their crops of tobacco, coffee, bananas and cocoa beans here for transport onto the World's markets. 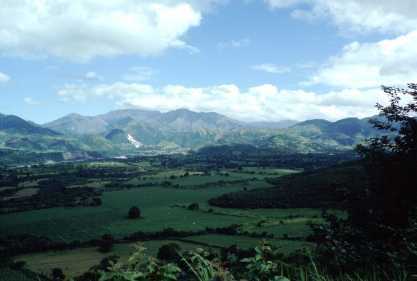 Driving onwards for another hour or so would bring you to the north coast town of Puerto Plata. 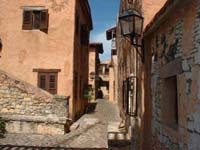 This lively and popular town has become a tourist favourite. From here the coast roads provide easy access to some of the beautiful beaches of the Dominican Republic, like Sosua and Cabarete. If you followed the coast road for another couple of hours you would discover the idyllic white sands of Las Terrenas , a beach Esther and I particularly love to visit and have many fond memories of...but now I'm getting carried away and you will find much more information about our favorite places on our 'best' Dominican Republic beaches pages. With only 1 or 2 weeks to explore, you can appreciate why you will barely be beginning to see the 'true' Dominican Republic picture! So there is a good chance that, like others, you might find yourself wanting to come back again and again. Now that the Dominican Republic hosts an ever increasing number of major international airports it is much easier to make that return visit. Between them these offer regular direct flights to New York, Miami, Philadelphia, Panama, Venezuela, Aruba, Spain, Holland, Germany, Martinique, France and the UK. We hope that as we develop this web site you will find a lot of useful information for planning your successful visit to our much-loved homeland. 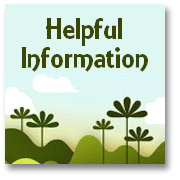 But if there is anything you need to know to make 'the full Dominican Republic picture' even clearer for you, then as we have said, please do not hesitate to contact us. 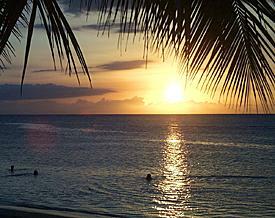 For more Dominican Republic images see our NEW GALLERY!